Despite a sometimes sluggish plot, the fast-paced action and multitude of sharp, witty jokes makes “Deadpool 2” a worthy sequel. “Deadpool” owes much of its original success to the element of surprise. When the first movie blasted into theaters in 2016, audiences didn’t expect its raunchy, crass humor and over-the-top violence, which were incredibly uncharacteristic of a Marvel film. Now without surprise on their side, creators promised Deadpool 2 would be bigger and bolder than its predecessor, and they succeeded. The movie begins with a recap of Wade Wilson’s (Ryan Reynolds) whereabouts, as the events of the previous film — similar to the original — quickly takes a dark turn that then provides the motivation for rest of the movie. Although there is nothing remarkable or unique about the plot itself compared to the plethora of other superhero movies that have been released over the past two years, Deadpool’s strength lies in its ability to comprehend its own plot’s defects and empathize with the audience. Even the opening credits of the film shatter the fourth wall and make you feel like the characters in the film have probably watched their movie themselves. After the villain Cable (Josh Brolin) is introduced, Deadpool realizes he can’t defeat him alone and proceeds to create a team of superheroes, the X-Force, to take him down. Deadpool spends most of the first half of the movie building this team, only to have it disbanded moments later. Although there’s a lot of gore, humor, and pop culture references in the first half of the film, there is little plot advancement. Surprisingly, Deadpool doesn’t pick up on this, but audiences will likely spend the first half of the film waiting for a climax that never happens. The second half of the film takes another turn, and this is where it really gets going. References to other Marvel films and pop culture are made every few seconds, and it’s easy to miss them if you’re not aware of the convoluted history of the X-Men franchise. This is a movie made for the fans, and while there are references for people who aren’t familiar with the X-Men or Avengers franchises, much of the movie’s charm and wit will likely go over their heads. Not to worry — there are plenty of brutal fights and car chases to keep everyone else entertained. Directed by David Leitch, a stuntman turned director (John Wick and Atomic Blonde), the action scenes in “Deadpool 2” are more complex and better choreographed than the original, and the cinematography keeps up with the pace. Are they particularly praiseworthy? No. But they definitely put the fight scenes in “Deadpool“ to shame, which is really all a sequel needs to do. As usual, Wade Wilson portrays Ryan Reynolds effortlessly, and performances from the supporting cast, lead by Zazie Beetz (Domino) and newcomer Julian Dennison (Russell Collins) are stellar as well. Beetz’s calm, collected demeanor provides a nice reprieve from the insanity of the rest of the film, and 15 year-old Dennison portrays the pain, anger, and innocence of his character as well as any of his more experienced castmates. That’s basically the theme for this movie: there’s nothing particularly memorable about it, but this film is certainly bolder, more violent, and funnier than its predecessor. 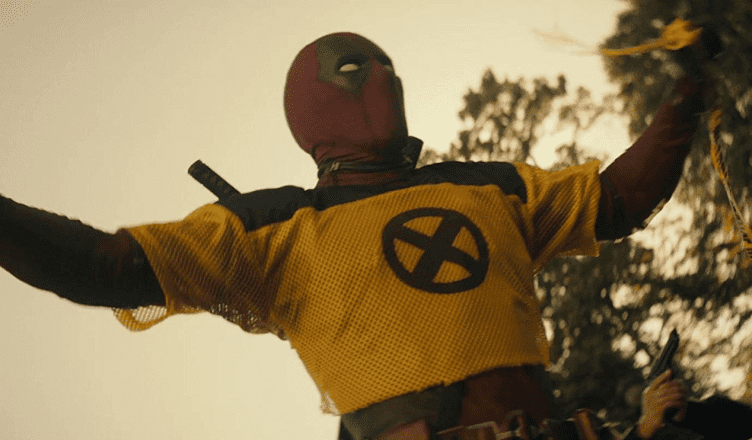 Despite the slow plot pace in the beginning of the film and the plot-holes, which even Deadpool acknowledges is “lazy writing,” “Deadpool 2” is the rare sequel that surpasses the original.